This sleeveless midi-length dress features a single piece fabric construction with a high collar, dropped arm, hidden center back zipper, and an open bottom pleat. The side shoulder pleat creates a beautiful drape. Fully lined. Made of 100% handwoven silk. We sourced this artisanal fabric directly from silk mills in Vietnam renowned for their traditional silk production methods. Using footage captured during a sourcing trip, Kaarem has produced a short video highlighting the handcrafted aspects of production at a silk mill in Hà Đông (available at kaarem.com/silkmills). 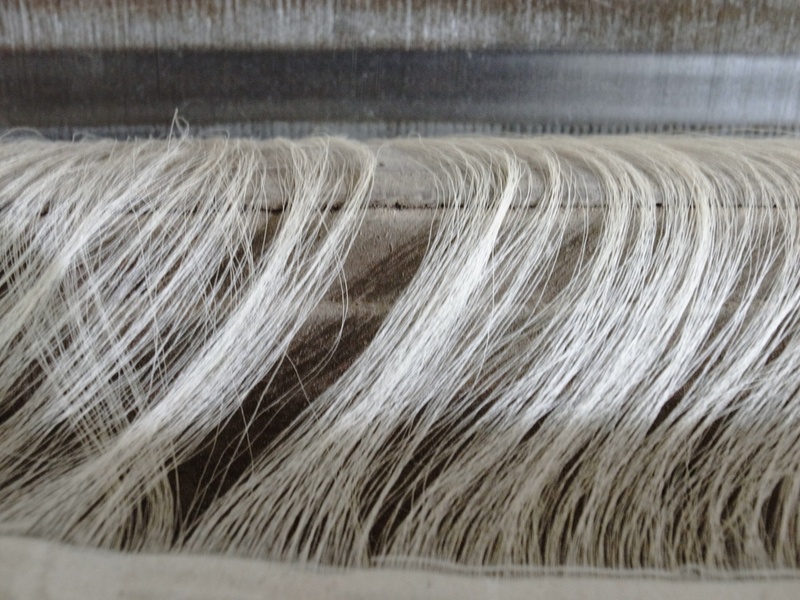 We source handwoven silk directly from silk mills in Hà Đông, Vietnam, renowned for their traditional silk production methods.